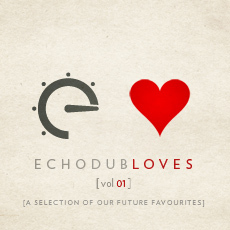 This album is the first in a series of releases that Echodub are putting together to highlight some of the artists that we love. We selected a number of artists, and asked them all to contribute to what we feel is a showcase of some of the most beautiful music coming from the deeper end of the dubstep, electronic and IDM genres. 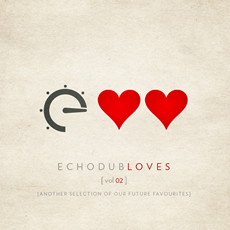 This album is the second in a series of releases that Echodub have put together to highlight some of the artists that we love. 01 Subreachers - "Memories Of Better Times"
02 Box Mouse - "5:37am Outside The Station"
04 Egoless - "Back Home"
06 Think - "All Wet"
07 SimonOff - "Trip To Luca"
09 Tribal - "White Rain"
10 Vandera - "India Joya"
11 Lojik - "White Room"
12 Jas - "In A Heartbeat"